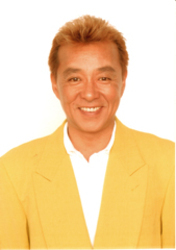 Ryuusei Nakao got into voice acting when he was still a child, landing a role in Ultra Q. Since then, he has had many voice acting roles, such as Mayuri and Kurotsuchi Mayumi from Bleach, Farfarello from WeiB Kreuz, Freeza from Dragonball Z, Erik from One Piece, Kir from Jing: King of Bandits, and Baikin-man from Anpan-man. He also credits in Voltron, Shonen Onmouji, Saint Seiya, Princess Resurrection, Cowboy Bebop and Bleach. His career also includes works as radio personality and singing.